Tim Elmore, the founder and president of Growing Leaders, an Atlanta based non-profit, created to develop emerging leaders, writes “I don’t know of any employer who still asks about the GPA of a young prospect, but I do know they are asking about creativity, soft skills (social skills, optimism, friendliness, emotional insights) and executive functioning”. In previous posts I have given strategies that I find to be helpful for speaking up for yourself and getting along with other people. This post will address something else that is very important ~ getting along with yourself. We all have thoughts and feelings swirling around inside us all the time. Your thoughts are very powerful and can make you feel better or worse. You can try to overcome powerful negative thoughts by using positive self-talk. Our thoughts and feelings are connected and they affect each other. Positive self-talk is like a silent “pep talk”. In his book, Speak Up and Get Along!, author Scott Cooper tells us that “some unhappy feelings can clog up your life, making it harder to get things done or making you feel worse than you really should”. We can try to change those feelings by changing our thoughts. 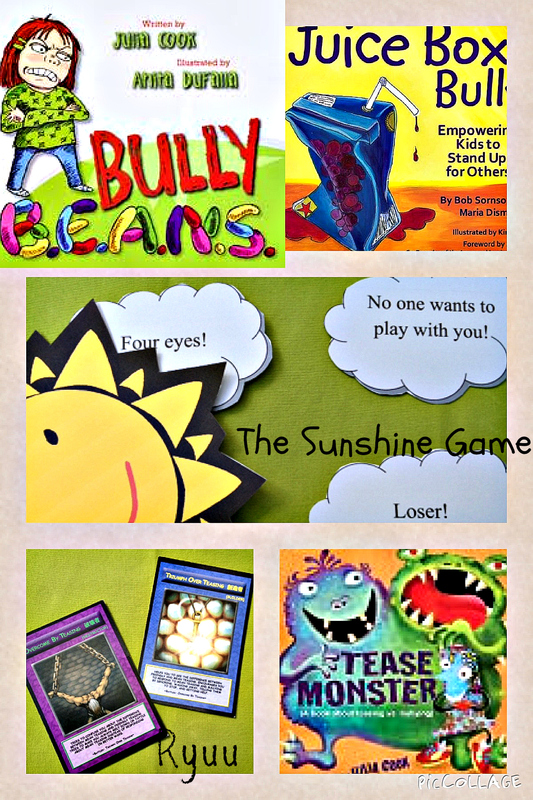 Teasing and bullying social skills kit for kids with ASD is a free download at http://autismteachingstrategies.com. It consists of illustrated panels, like the one below, and “what to do?” and “what to think?” scenarios. Julia Cook has given us so many wonderful books for just about any social situation that students face. The Lunch Buddies like Tease Monster and Bully Beans. 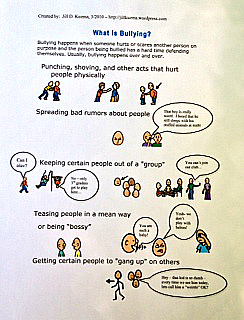 We also like The Juice Box Bully Empowering Kids to Stand Up for Others by Bob Sornson and Maria Dismondy. In the World of Ryuu, dragons learn to Triumph over Teasing (Builder) when they are Overcome by Teasing (Destructor). This game is one of the best purchases that I have made ever. Kids love it and the concepts stick! Find more information about Ryuu-The Game® at http://www.autismteachingstrategies.com. 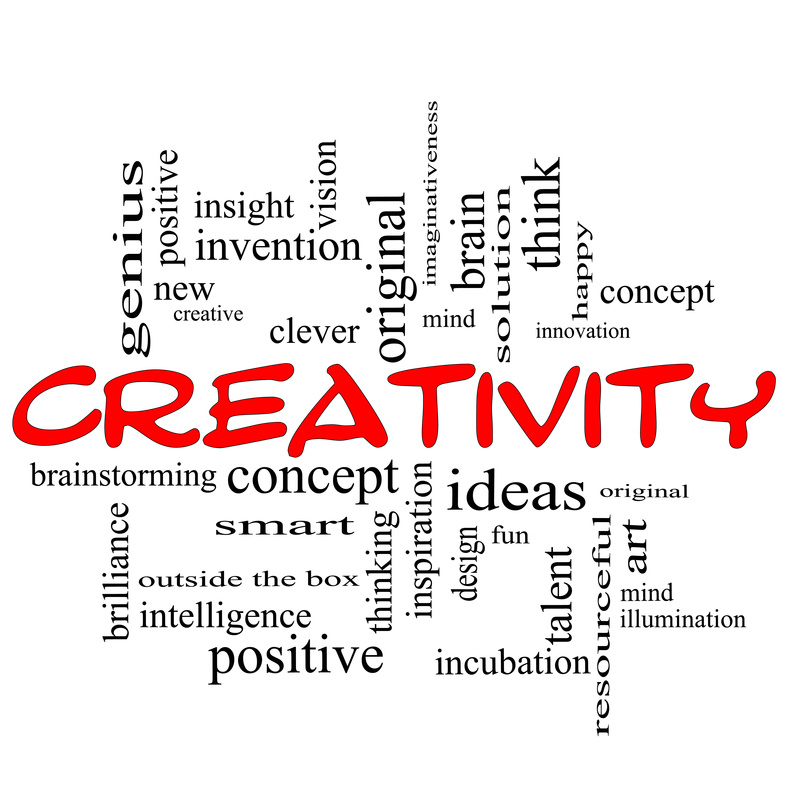 The strategy today for the Toolbox is The Thought Chop. When our negative thoughts start to make us feel more sadness, fear, or anger and we start to be too hard on ourselves, we can use The Thought Chop to talk back. An example of The Thought Chop would be: You are not invited to a party that other kids are invited to and you think, “Nobody likes me. I’m a loser”. Use positive self-talk or The Thought Chop by say, “I’ll be invited to other parties” or ” it would have been fun, but it’s their loss”. Find more strategies like The Thought Chop in Scott Cooper’s book Speak Up and Get Along! Is it teasing or bullying? There is a difference. 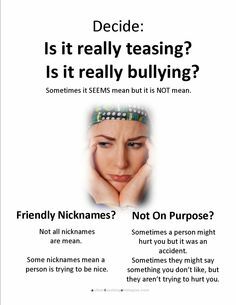 It is important to help students understand and see teasing and bullying on a continuum, rather than using the terms interchangeably. 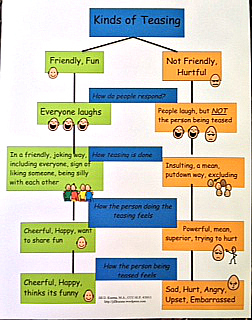 Positive or fun and friendly teasing is at one end of the continuum. Friendly teasing causes everyone to laugh. Joking around can be friendly teasing. 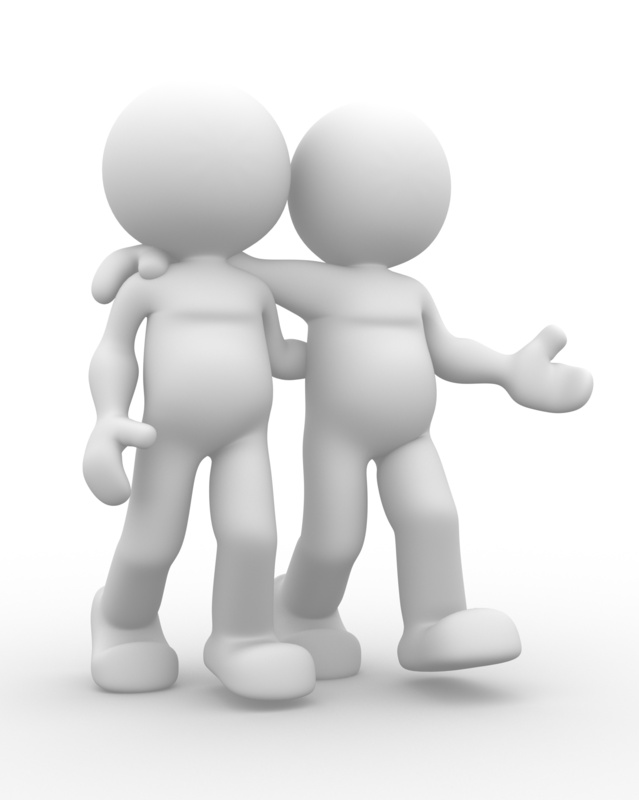 It can be a fun way to strengthen a friendship by showing closeness and affection with another person. Teasing can also represent an indirect or non-threatening way for resolving conflicts by providing an outlet for expressing frustration. Teasing is common-96% of elementary age children report involvement. Teasing is acceptable when it is not meant to harm anyone, and if you asked the person to stop, they would. Next on the continuum is hurtful teasing. Hurtful teasing is cruel and involves making fun of someone. It could be name-calling or putdowns. Cruel teasing also includes exclusion. 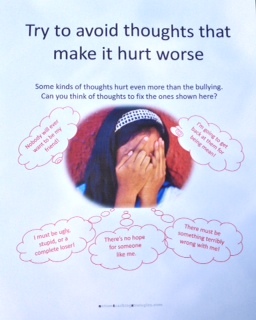 Behaviors such as the “silent treatment”, stares or eye-rolling are also hurtful. Also, on the continuum is peer pressure. Someone may try to talk a student into something that is unsafe or wrong. Maybe someone tries to pressure a student into being mean to somebody else. When does teasing become bullying? 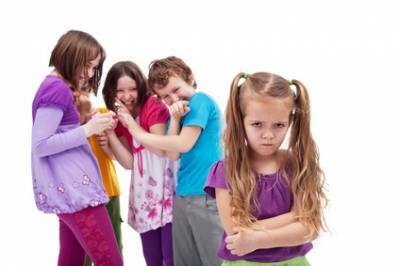 When the words turn from affectionate to hostile, when there is a power imbalance, when the child being teased is upset or hurt by the interaction, and when the child who is teasing means to upset or hurt the feelings of the child being teased is usually the turning point when teasing becomes bullying. When you want to show people that their teasing doesn’t bother you, use The Shrug. It is a quick, easy, and effective way to deal with teasing. When you use The Shrug, you show teasers that you don’t care about their words. You just look away, walk away or say something like “whatever”. Give that person teasing as little attention as possible.